There has never been a better time to be a guitar player because of the amount of resources we have available to us via the internet. Whether it is to improve your overall skills or for self-promotion, we now have the likes of social media and Youtube to sink our teeth into. The technology we have available today can really help your progression as an artist. I have included a few tips below which will help you make the most of the internet’s resources, which can benefit you in numerous different ways. Travelling from music shop to music shop on a busy schedule is never easy and is there anything more frustrating that not being able to find what you need? This is never ideal especially if you have a lot of practicing to do for a gig approaching. 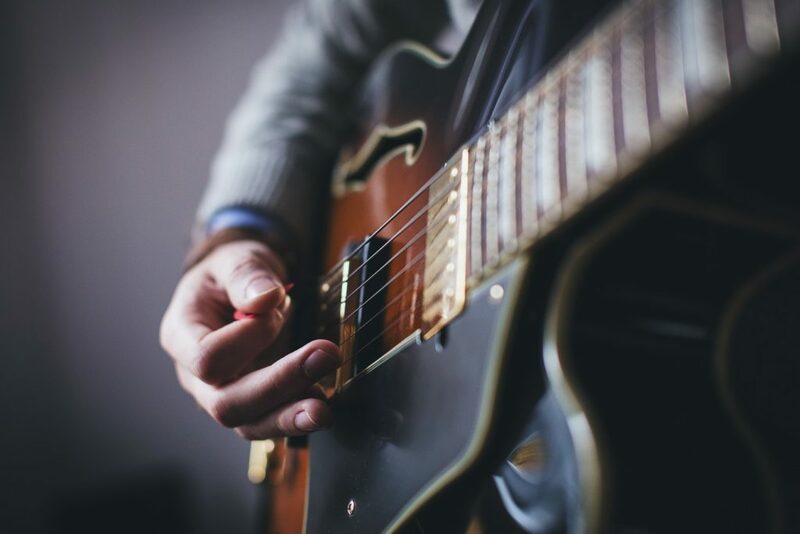 Thankfully we are graced with online music and guitar stores, so whether you need replacement strings or a new gear next day delivery has got your back. Obviously online shopping is a mystery to nobody but the best thing about it is the competition, as there is endless amounts of sites that offer the same product you will tend to find that there is huge opportunity to save yourself some money. So whether it is your profession or a hobby before paying retail prices have a look around online and let the bargain hunting commence. I can always remember how much of an issue it caused me to attempt to find the time to get some much needed lessons under my belt. Let’s face life at the best of times can be extremely busy and finding the right time around your schedule for a lesson can cause issues. With the internet access we now have this is something we no longer have to worry about, there are countless amounts of ways you can improve your skills online. Whether you are starting out or have been playing for years, websites such as Youtube have endless amounts of videos helping out with learning a particular song or tips to support you. Beyond free websites like that you can lose you self in e-learning books or even get guitar lessons online. I have been speak with an old friend of mine Tom Hess Guitar player recently about how much of an impact using the internet can have on a budding guitar player’s career. Tom has had a lot of experience with this due to his career spanning over 30 years in the industry. Through those thirty years Tom has had success with bands such as Rhapsody of Fire and Holyhell and has also charted albums across Europe. Whilst having all of this success, Tom also has his own tutoring and mentoring company online which helps many a guitar player around the world in which he shares knowledge gained from his experiences and two music degrees. As Tom has throughout the years it is so easy to get your work out there and try to gain a following. Whether the output is social media, streaming sites or online advertisement everyone knows the wildfire of viral popularity and how quickly it can take off. There are so many options you have and I really hope that you can use the online service you have available to you. It is in your own hands!